After finally receiving an official release date earlier this month, the first trailer for the biopic film “Jobs” has been released. 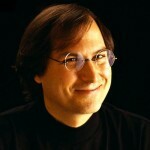 The film stars Ashton Kutcher as Apple co-founder Steve Jobs, Josh Gad as Steve Wozniak, and Matthew Modine as the infamous John Sculley. Here’s the complete trailer. Click here if you can’t see the video. After taking some interesting twists and turns, the movie will arrive in theaters on Friday, August 16. 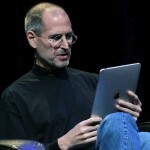 The movie will chronicle Jobs’ life all the way from 1971 to 2000, after he returned and rebuilt Apple. Originally scheduled to hit theaters back in April, it was indefinitely delayed just a few weeks before opening. Even though the trailer looks interesting, I still think I’ll pass on seeing “Jobs” in theaters. I can only see it being an interesting rental, at best. But hey, at least it looks better than Funny or Die’s “iSteve.” Aaron Sorkin is also in the preliminary stages of planning a film adaptation of Walter Isaacson’s book about Jobs. Woz has been hired on as an adviser to the yet-to-be-titled picture. For other Steve Jobs news, see: Never Seen Before: Steve Jobs Discusses His Legacy In Rare 1994 Video, Cue Talks Jobs In iBooks Case: Discusses Page-Curling, 'Winnie-the-Pooh' And More, and Isaacson's 'Steve Jobs' Paperback To Launch In Fall: Includes New Cover, Afterword.